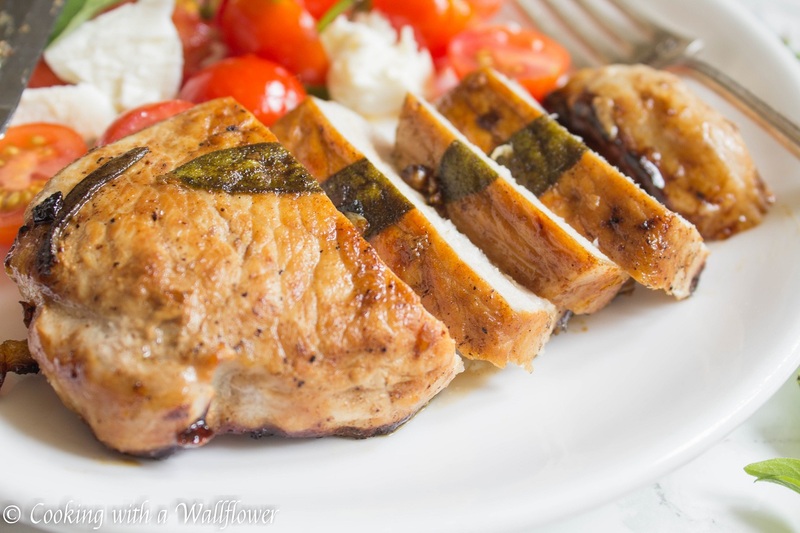 Today, I wanted to share with you this brown sugar glazed sage pork loins. 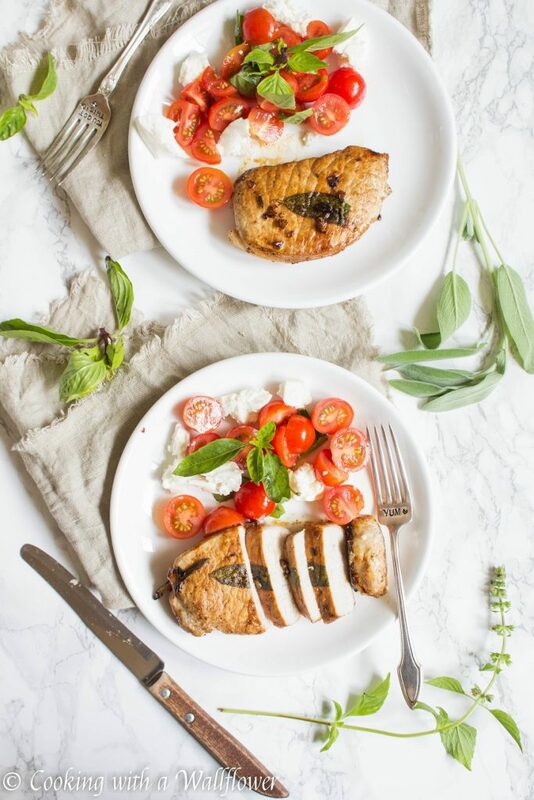 It’s simple with just a few ingredients but delicious and perfect for a weeknight dinner. I obviously need to work on cutting pork. But I have to admit that I am terrible at cutting up meat. You know how you’re supposed to hold the knife in your dominant hand and the fork in the other? I do the complete opposite. And I’ve noticed that I do the same for other things too. Like opening bottles and jars with my non dominant hand. Does anyone else do the same? 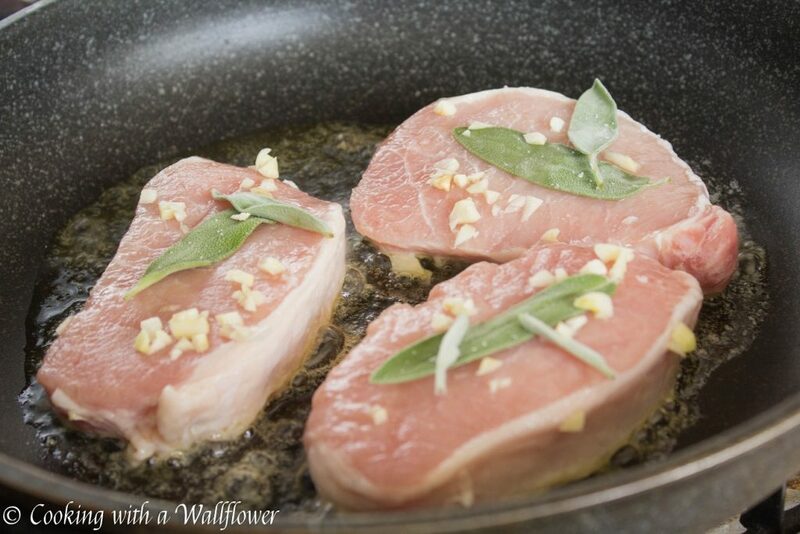 These pork loins are flavored with a little bit of brown sugar and salt and fresh sage. Then they’re cooked in melted butter over medium heat on a stove. Each bite of the pork loin is tender and flavorful. Served with a simple caprese salad, this dish is perfect for a weeknight dinner. 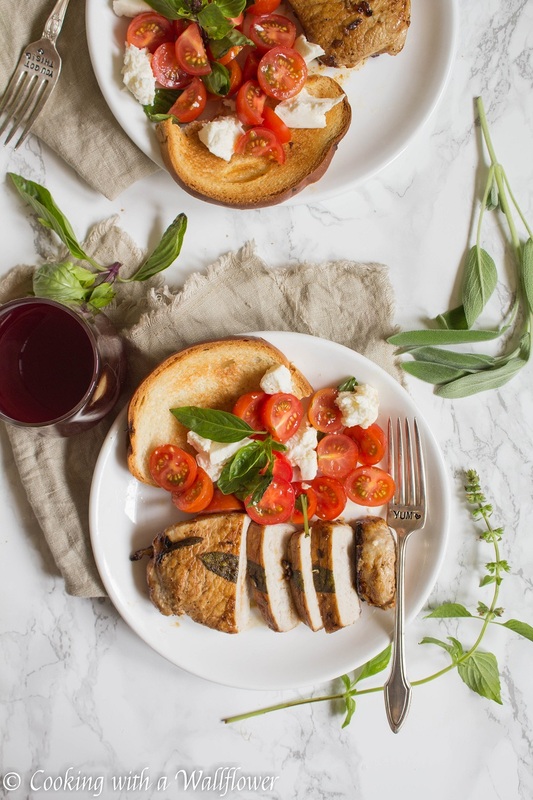 For this recipe, I used a pound of pork loin cut into three slices. But you can definitely use just two slices instead. 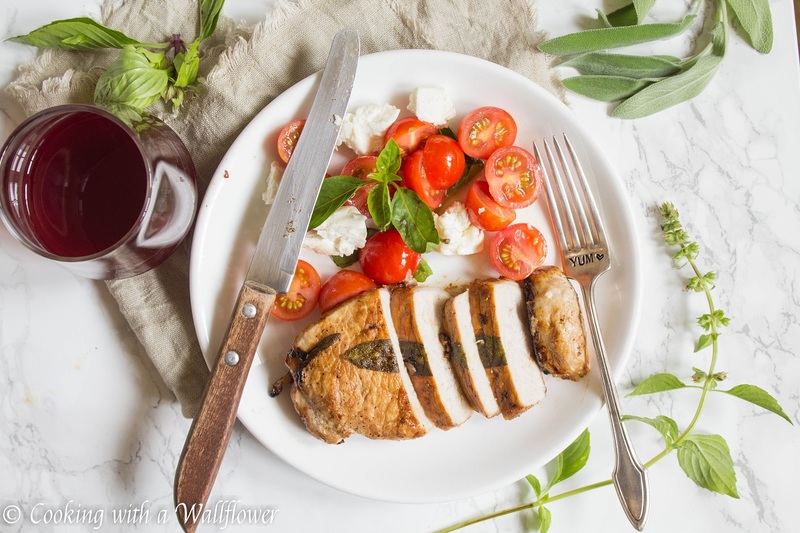 Serve the brown sugar glazed sage pork loins with the caprese salad and a slice of toast. 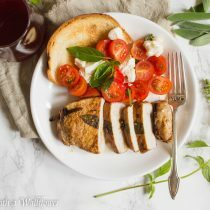 This entry was posted in Entree, Farmer's Market, Gluten Free, Quick and Easy, Recipes and tagged entree, fall recipes, pork loins, quick and easy, weeknight dinner. 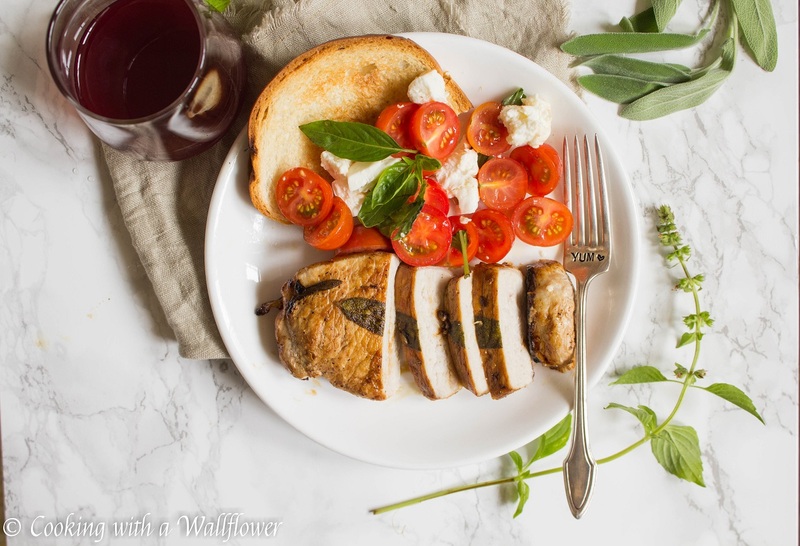 Your pork loins are beautifully cooked, and your pictures are gorgeous! 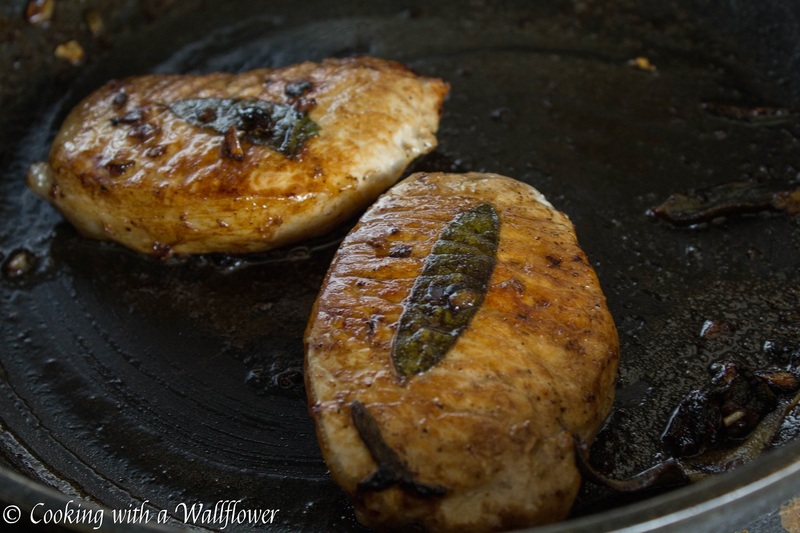 I know everyone will love this dish over at Fiesta Friday! Happy Fiesta Friday! yummy! one could add lavender, couldn’t one? I haven’t tried it with lavender, but it sounds goood. This looks delicious! It’s been a long time since I made a pork dish, now I want to try this! I hope you’ll like it, Kate. With your arrangement, a treat for the eyes as well! Pork is the best meat, it tastes incredibily paired with brown sugar, honey and spices. My grandma gave me an old sweet cooked wine that I used to make the sauce for pork loins: it is marvelous! That sounds really good, Federica!